The growing internationalization of the world poses a fundamental question, i.e., through what mechanisms does culture diffuse across political boundaries and what is the role of politics in shaping this diffusion? This volume offers some answers through the case study of the relationship between two quite different states during the Cold War era - Austria, a small neutral country, and the United States, the reigning superpower. The authors challenge naive notions of cultural diffusion that posit the submission of small "peripheral" areas to the dictates of hegemonic powers at the "core." "Americanization" has no doubt taken place since 1945; however, local forces crucially shaped this process, and Austrian elites enjoyed considerable leeway in pursuing "Austrian" political objectives. 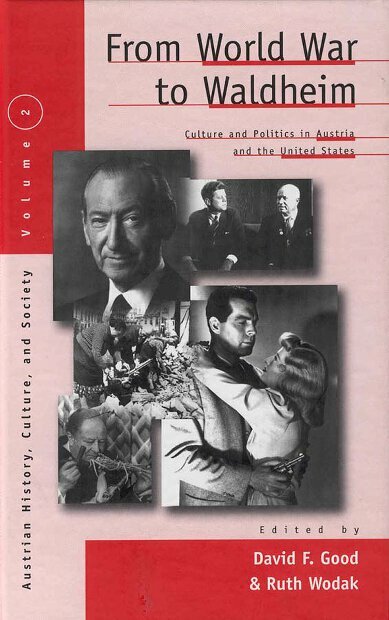 On the other hand, with the expulsion of Vienna's cultural and intellectual elite after the Anschluß, the United States, more than any othercountry, became heir to the rich cultural legacy of "Vienna 1900," which profoundly shaped politics and culture in both its "high" and popular forms in postwar America. The relationship climaxed and came full circle with the unfolding of the Waldheim affair, which forced Americans and Austrians to reinterpret the meaning of the Nazi era for their own history in a confrontation with the "other." David F. Good is Professor of History at the University of Minnesota, where he was also the Director of the Center for Austrian Studies until 1996. He has been Honorary Professor of Economic History at the University of Vienna and received the Austrian Medal for Arts and Sciences, First Class, in 1995. Ruth Wodak is Professor of Applied Linguistics at the University of Vienna.